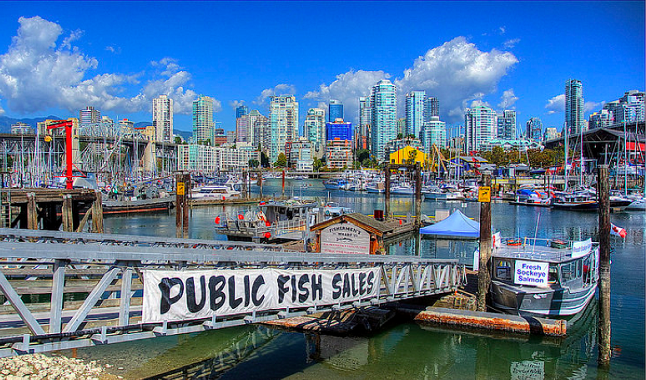 Discover Vancouver’s most popular sites before boarding your Cruise Ship. Let us take you on a fully guided city tour. Explore Prospect Point and the Totem Pole display in the enchanting Stanley Park. Drive through the city highlights including, Gastown, Chinatown, Vancouver Harbour and the sandy beaches of English Bay. Take a stroll through the artsy Granville Island market and go up Vancouver’s Lookout tower where you can get a spectacular birds-eye view of the city. Hop onboard for a fully guided 4-hour Vancouver City Tour and see the city’s greatest sights. Vancouver is truly a traveler’s paradise, consistently voted one of the world’s most livable cities. Locals are recognized for their friendly nature and welcoming attitude. Perched on the edge of the Pacific Ocean and framed by British Columbia’s Coastal Mountains, it’s easy to fall in love with this breathtaking city. Discover highlights like the historic Gastown, Chinatown and English Bay. Stop in Stanley Park to explore the Totem Poles and the spectacular views from Prospect Point. Visit the charming farmer’s market at Granville Island and wander through craft galleries. Enjoy a 360° panoramic view from Vancouver’s Lookout observation deck (admission included) high atop the Harbour Center Tower. Your tour will conclude at the Cruise Terminal where you will board your ship and depart on your next adventure. Book your Vancouver City Highlights Tour with Alpine North Limousines Today!